You need to understand offset. Do you? 17's are too big in my opinion for the 92-00 Civics. No i dont understand thats why i wanna know. 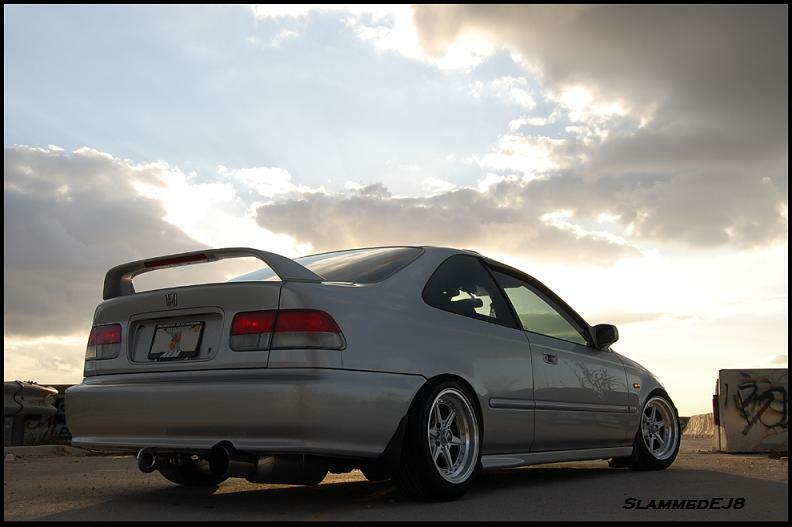 But I have seen some nice civic with 16 and 17s low pro tires and offset so it must be possible. Maybe im trying to explain what I want wrong im not sure seems like people are just using wheel spacers from what I've seen. 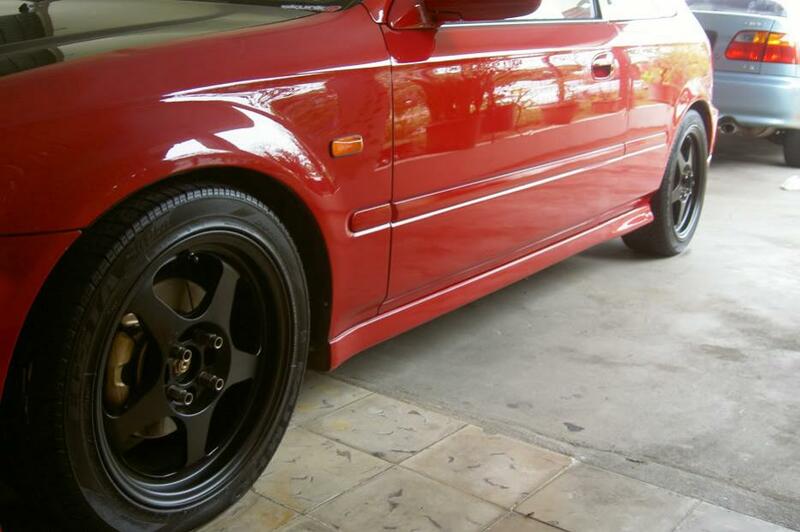 My car is not lowered just factory suspension.just want wheels to stick out lol. ose are what im looking for ive been searching around other threads on google.so there +45 offset with rota slipstream the one in the red is anyway.i am gonna lower my car the more i'm looking.so ive also been reading up on that im leaning towards koni yellow sport shocks with ground control coilovers.the more i read i agree with you 17's are to big i want to keep as nice ride as i can. Last edited by DiaperX; 06-06-2013 at 06:26 AM. The silver ones look like lower offset. The portion that bolts to the car looks more sunken in. The red car just has normal stock offset wheels. I still dont understand what you are asking exactly.